A small selection of my work is available to order as limited edition prints, and occasional as seasonal products such as greetings cards. These photographs represent some of my favourite images, and have been selected as they look especially incredible as prints, when mounted and framed. The prints are technically and artistically of the highest standard possible, all versions available to purchase are professionally printed using an ultra-high-resolution, professional, 12-ink pigment print process on an 100% cotton acid-free fine art paper. 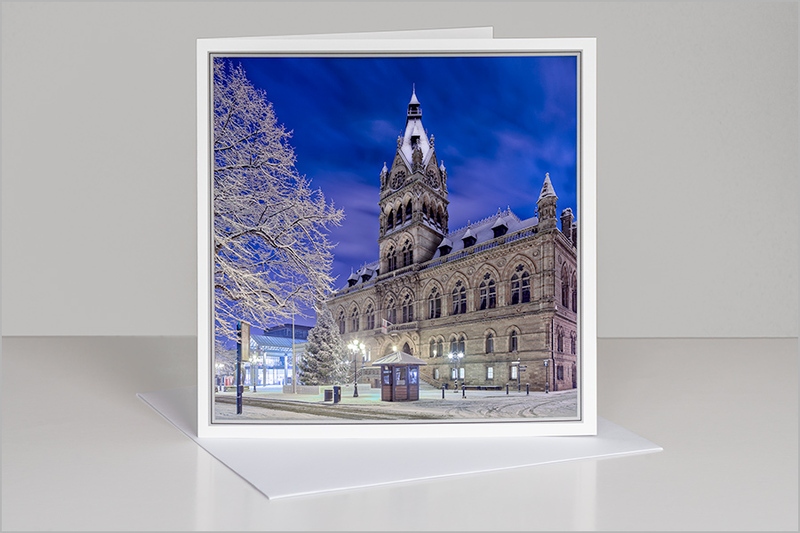 A selection of seasonal greetings cards depicting scenes of Chester. The cards are 150mm × 150mm square, and are printed on FSC® Mix Credit 250gsm stock. Each includes a 155mm × 155mm white diamond 90gsm envelope and is retailed packed.